Owners of Euro Truck Simulator 2 can now test the beta of update 1.14, via Steam. Euro Truck Simulator 2 version 1.14 has a raft of changes, improvements and new features for players to try out. There’s lift-able axles, increased damage for overturned trucks, improved automatic transmissions for steep hills, and many more gameplay tweaks. The game’s artificial intelligence has also been worked on, so traffic behaves more realistically. Probably of most interest for Euro Truck Simulator 2 fans is the inclusion of a new truck, along with new 6 wheeled chassis for most trucks in the game. 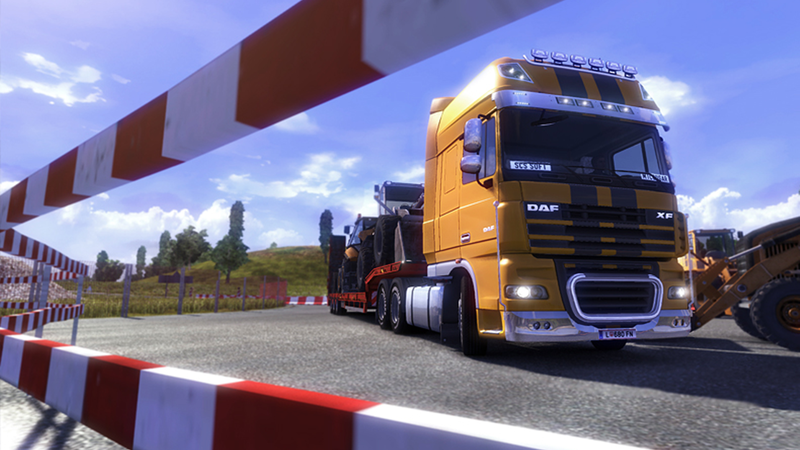 Update 1.14 has the DAF XF Euro 6, pictured below. Euro Truck Simulator 2 is an extremely popular, and quite self explanatory game. It has a very enthusiastic community, which developer SCS Software seems to listen to very closely while providing regular updates and improvements. Download Euro Truck Simulator 2.